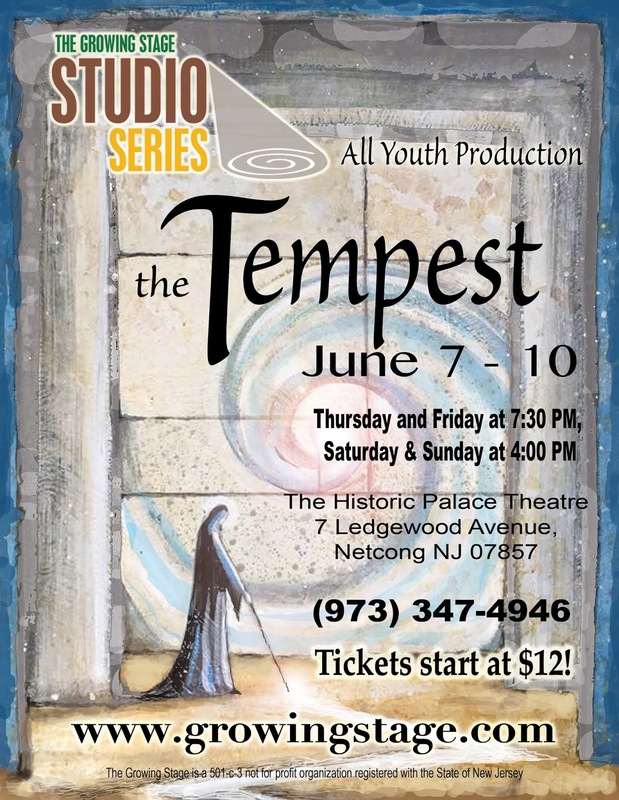 THE TEMPEST is an all youth production featuring 24 young performers hailing from Hunterdon, Morris, Sussex and Warren counties. This production is a part of our Studio Presentation Series. This series initiated in the fall of 2009 has succeeded in engaging both patrons and artists. Targeted for specific-aged audiences rather than the wide-reaching family fare of the Main Stage, the series provides community artists with a unique opportunity to participate in the creative process of “trying out” new, more experimental works under the direction of our professional artists. This program allows our company to both cultivate new talent and challenge audiences. Tickets for THE TEMPEST are $15 for Adults and $12 for Children & Seniors, with group rates available. Tickets can be purchased by calling the TGS Box Office at (973) 347-4946 or visiting www.growingstage.com. The Growing Stage – The Children’s Theatre of New Jersey programs are made possible, in part, by funding from the New Jersey State Council on the Arts, and contributions from numerous corporations, foundations, and individuals.